According to Wikipedia, gluten is a protein composite (a mixture of glutenin and gliadin) found in wheat and other grains. It helps dough rise and gives it that delicious chewy texture. Are you imagining a freshly baked loaf of bread right now? Is there any scent in the world more apetizing than that of fresh bread?? I'm drooling a-la Homer Simpson right now. Anyway, gluten has been in our diet for over 10,000 years, so I have to assume that we've been digesting it successfully for that period of time. Individuals who have autoimmune reactions to gluten have Celiac Disease, which is characterized by irritation in the small intestine, which over time, leads to the loss of the lining of the gut. Over time, you may lose the ability to absorb nutrients. There are both environmental and genetic factors that play a role in susceptibility to the disease. There are two additional categories to gluten allergies: allergies to wheat, and the newly labelled "gluten sensitivity". The former is a "standard allergy": skin reaction, wheezing, etc. The latter category are cases where there is neither an allergic nor autoimmune reaction. Individuals who experience "distress" when eating wheat and other grains, feel better when switching to a gluten free diet. Basically, these individuals might have some of the symptoms of celiac disease (such as bloatedness or diarrhea) and feel better when they switch to gluten free. Their small intestine is usually normal. The issue is that it's difficult to diagnose, because there's no real immune response, and it's subject to a placebo effect. In addition, there's a whole slew of symptoms for "gluten sensitivity" (also known as "non-celiac gluten sensitivity"), including eczema, headaches, fatigue, depression, anemia, joint pain, etc. Additionally, there's evidence that patients with irritable bowel syndrome may also have gluten sensitivity. Now we get to a huge point of contention: are gluten allergies on the rise? The stats for celiac disease are all over the place. Two decades ago, it was considered to be extremely rare in the United States (1:10000). But more recent studies, with more accurate methods of detection, place the incidence rate as high as 1:33 or 1:57. So, it seems like the increase in incidence may have to do with our methods for diagnosis and definition of the disease (for example, in the first paper, the definition of celiac disease was a patient with diarrhea plus diabetes or short stature. In the latter paper, the definition included a category where the only symptom was abdominal pain). Additionally, and as mentioned above, "gluten sensitivity" is a category that has only recently been added to the medical lingo. This review points out that our change in diet may also be cause of the increase in gluten-related disorders. The authors point out that the spread of the Mediterranean diet, increase in the amount of gluten used in the production of bread, mechanization of farming and overall increase use of wheat, may all be contributing to "gluten-related pathology". A paper published in 2010 identified that the variety of wheat we use today has more gluten than varieties that were cultivated over 100 years ago. So it sounds like traditional plant breeding may be to blame! So, the conclusion I'm coming to is that our definition of gluten-allergy/sensitivity has broadened AND we've gotten better at diagnosis PLUS there seem to be changes in how much and the types of wheat we eat. However, there are a LOT of people jumping on gluten-free because it's the latest fad. Gluten sensitivity is very difficult to diagnose, and apparently, the best way to do it is through a "double-blind, placebo-controlled gluten challenge test", which is not easy to do, so it's possibly being over-diagnosed (and in many cases self-diagnosed). In a double-blind test, 68% of patients receiving gluten had clinical symptons, versus 40% of those receiving the placebo (the numbers for placebo effects in wikipedia suggest that 40% is on par with other studies). So now we get to the key question for this blog: do GMOs have anything to do with the "increase in gluten allergies"? The tubes are exploding with "evidence" on how GMOs are the cause for gluten allergies (there were too many links to provide here). However, a search in pubmed found 0 studies linking the two. Reading through a few of webpages, it's evident that it's another case of association, not causation (similar to how TV sales irradicated polio or my kid's growth has contributed to my shoe purchases). The theory that's currently proposed, is that Bt from corn and other GMOs (Bacillus thuringiensis, please see previous blogs for explanation on Bt) is leading to a "leaky gut". As outlined previously, we lack any receptors for Bt. There is greater evidence for midichlorians than there are for the "leaky gut". 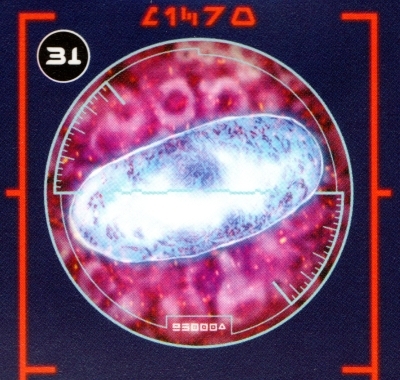 After all, George Lucas showed us the midichlorians in their full glory, and even produced a blood test for them. But in my mind, the greatest evidence that GMOs are not tied to gluten allergies, is that GMO wheat is not yet on the market. It's in development and is being tested, but isn't available. You really can't argue with that. Wikipedia, Monsanto, and several other sites all say the same thing: GMO wheat is not commercialized. Next week's blog may be delayed. I'm switching jobs (no... I won't be working for agribusinesses... Actually, the FAQs about Biochica don't even need to change), so I have to wait to find out if I'll have journal access. Fingers crossed for a smooth job transition and awesome journal subscription services! !